Looks like the Intel SSD roadmap is on track, with the processor giant releasing the Soda Creek 310 Series of solid state drives, which while delivering the same performance as the x25 series, are 1/8th the size. 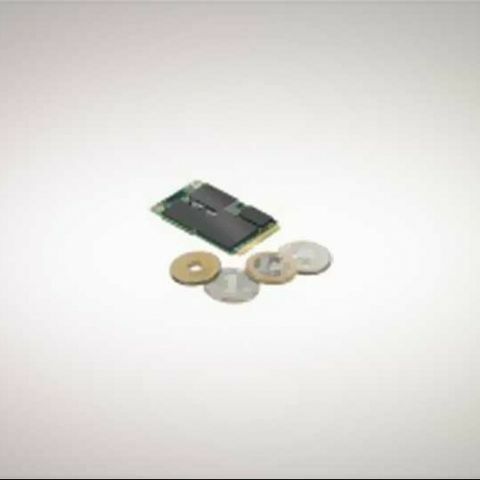 [RELATED_ARTICLE]Meant for a world of netbooks, laptops, tablets and other portable devices, and even small form factor desktops, the Intel 310 Series SSDs are based on 34nm multi-level cell (MLC) NAND flash memory. They are just 5mm thick, and are 1.8-inch drives about the size of a credit card, at 51 mm x 30 mm. The 310 Series apparently marks the first mSATA solid state drives to be made by Intel, cards that use a mini PCIe interface. 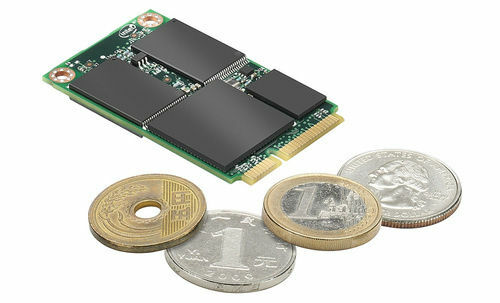 We also just saw Transcend release their latest lineup of mSATA SSDs. Corporate sector giants Lenovo has already signed on the new small form factor solid state drives from Intel, and for now, only OEMs have access to them. With 1,000 unit orders, they will be priced at $99 for 40GB and $179 for 80GB. Weighing less than 10 grams, the Intel 310 Series delivers read speeds of 200MB/s (sustained) and write speeds of 70MB/s (sustained). As for input/output operations per second (IOPS), Intel claims the solid state drives will have up to 35K read and up to 6.6K write.